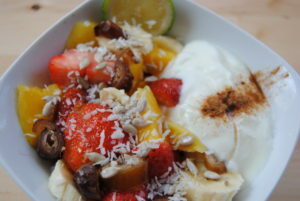 If you’re enjoying fruit and yogurt for breakfast, experiment with adding in some other tasty ingredients. Some nice things to add in are dates, spices, coconut oil, nuts and seeds. The coconut oil will help to stimulate your metabolism for the day. It becomes liquid when it’s at 24C, so during the summer months it won’t stay solid in your house. That’s fine though – it’s easier to drizzle it over your meals. If it is solid, you can heat it in a pan for only a couple seconds and this will make it easier to use. 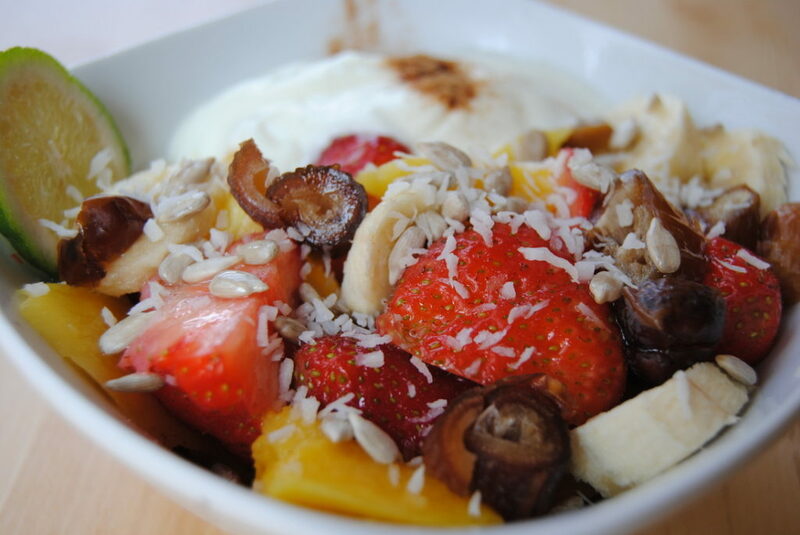 Adding cinnamon to your breakfast bowl will also help to regulate your blood sugar levels. The nuts and seeds will add healthy fats and extra protein to your diet. Get as creative as you can! This particular meal includes banana, strawberries, dates, sunflower seeds, coconut flakes, mango, plain yogurt, cinnamon and coconut oil. 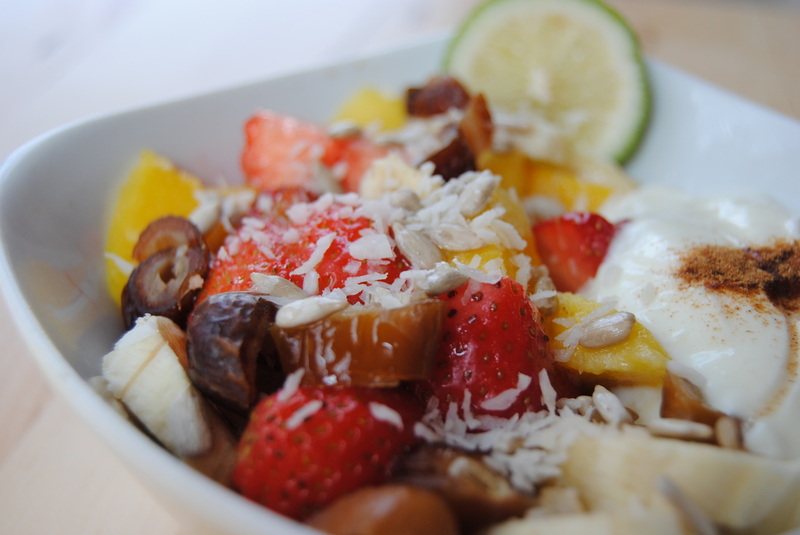 It will provide you with lots of vitamins, minerals and nutrients for your day ahead.